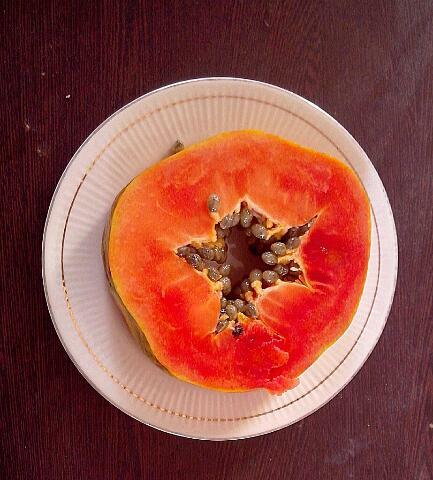 Red coloured Papaya can be surprisingly sweet. Now this whole slice needs to be peeled, cut in cubes and seeds to be removed. It is a surprise to me that only a few people eat Papaya.